The Dutchman is in the process of buying the Swedish carmaker Saab, which he says is 200 times bigger than the one he already owns, sportscar firm Spyker. Neither company is making any money, though. Indeed, Saab is in the Swedish equivalent of bankruptcy protection. Nevertheless, says Mr Muller: "We think we have a very rare opportunity to buy into an iconic brand." The entire acquisition - including funds that will be spent to rebuild the operation - will be financed with loans. A 400m-euro loan ($544m; £348m) from the European Investment Bank was approved on Friday afternoon. And the business will remain heavily reliant on technology and General Motors (GM), which is selling Saab. 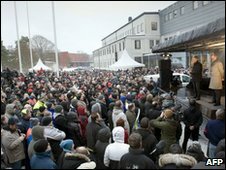 "The main reason why we think Saab will succeed is its unique brand," Mr Muller says. 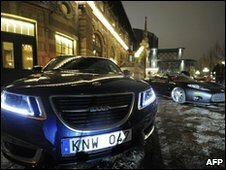 But the brand is not the only asset that is up for grabs, in spite of a recent sale of much of Saab's intellectual property to Beijing Automotive, he insists. The Chinese carmaker bought intellectual property relating to the old 9-5 model and to Saab 9-3 models up until 1994, explains Mr Muller. Which, crucially, leaves the carmaker with the new 9-5 model, which is set to go into series production as soon as the deal has been completed, and the 9-4X, a small sports utility vehicle that will be produced in Mexico by Saab's to-become-former parent General Motors. In addition, Mr Muller is eager to come up with a "high-end small car" that he refers to as the 9-1. "We are very anxious to investigate it and to find a technology partner," he says. 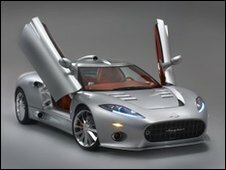 Spyker, whose shareholders approved the Saab acquisition on Friday, wants to adopt the name "Saab Spyker Automobiles". 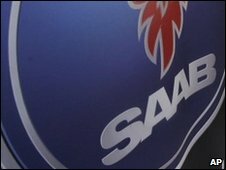 But first it will need permission from the aerospace company Saab, which shares the badge with the carmaker, as well as with truck maker Saab Scania. "That will take a little more time," Mr Muller says. Otherwise, its strategy is not all that different from the one pursued under GM. Indeed, the management team, under chief executive Jan-Ake Jonsson, will remain unchanged, Mr Muller says. 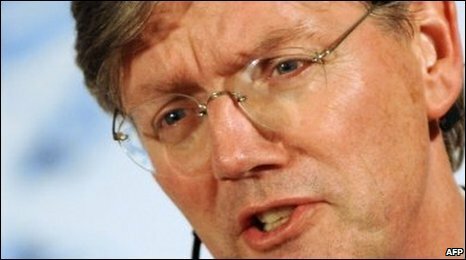 Mr Muller insists Saab will return to its "pre-crisis production level of 100,000-120,000 cars per year within two years", by which time, he believes, the company should have become a credible rival to BMW and Audi. That echoes old Saab's ambitions, though too few customers agreed. But this time it is different, Mr Muller insists. "Within two years, the entire production line-up will be renewed," he says. "We want to close the gap [between Saab and its German rivals] in terms of premium quality." To do this, Saab will enter into "a large number of ancillary agreements with GM" with regards to services rendered, platform sharing and so on. GM Europe president Nick Reilly has already made it clear that GM will continue to support the marque. Another fundamental difference from the past is that under Spyker, Mr Jonsson and his team will get access to millions of euros to rebuild the business. "We will be hiring rather than firing," insists Mr Muller. Spyker will pay $74m (£47m) for Saab - $50m upon completion of the deal, the remaining $24m in July this year. The 400m-euro EIB loan must be invested in the Saab operations and cannot be used to pay for the acquisition, so instead Spyker has to either borrow more to pay GM in July, or it will have to access funds in exchange for shares. Saab and Spyker will operate as independent subsidiaries owned by a central holding company, which will be listed in London and perhaps also in Stockholm, though there will be considerable technology and parts transfers from Saab to Spyker. Spyker should also benefit from Saab's network of 1,100 dealers, explains Mr Muller. In return, Spyker is set to bring brand management knowledge and design skills to the table. Saab Spyker will soon be on a roll. Many in the motor industry remain curious about how long the journey will last.